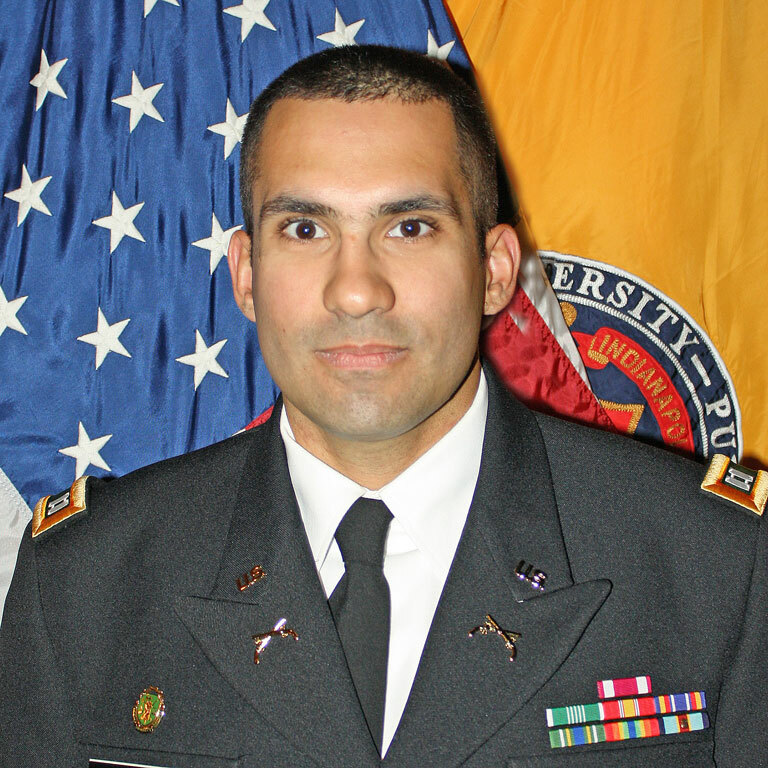 Captain Jonathan Rodriguez provides inspiration and leadership as an Assistant Professor of Military Science at Indiana University-Purdue University at Indianapolis. A graduate of The Citadel with a double major in Political Science and Spanish, Captain Rodriguez served as a Platoon leader at the 230th Military Police Company at Rhine Ordnance Barracks, Kaiserslautern, Germany. Upon returning to the United States, Captain Rodriguez attended the United States Army Military Police Captain’s Career Course at Fort Leonard Wood, Missouri, and was assigned to the 1st Armored Brigade Combat Team, 2nd Infantry Division, Camp Hovey, as the Brigade Provost Marshal, and to the 94th Military Police at Camp Humphreys as the Headquarters and Headquarters Detachment Commander, both in South Korea.